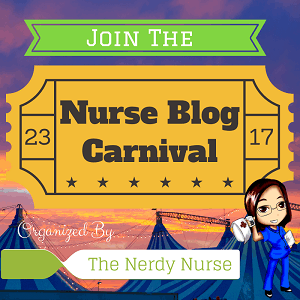 This year by friend, Nurse Beth over at NurseCode.com put together a list of the top nursing blogs of 2016. She asked our blogging community to send in the top read posts for each of their sights – so these were choosen by you, the readers! So much thanks for taking time to read our stuff – it makes me sad to think it is just getting lost out in the cold dark world of the internet. So, without further delay, click the link and go see if you agree with some of these amazing thought provokers! Remember, be safe and wash your hands! Fun Stuff, Nurses Unite healthcare, New nurse, Nurses, Nursing, nursing school, Nursing students, student nurse. permalink.